We’re only about a month away from Apple delivering the iPhone X and the the supposed cognoscenti are still hooting and hurling rocks at it from across the river, as our ancestors did whenever they saw something they didn’t understand. Writing for ZDNet, Steve Ranger just can’t even with this. It is a magical time for face puns. Relish these days, headline writers. We shall not see their like again. The iPhone X is putting facial recognition front and centre—so why does it leave me frowning? Because it just reminds you that everything is futile and we’re all destined for the grave? The Macalope gets that. One of the most interesting aspects of Apple’s forthcoming iPhone X is the way you unlock it. Which is kind of a misnomer because you actually use your dongle to unlock. Even in a moat? Even with a goat? Yes, in a moat. Yes, with a goat. But… what if they weren’t? First, for a smartphone I’d argue that a fingerprint is actually the easiest replacement for the password: it’s less controversial than using your face and probably even faster. Both are biometric data and both are stored in the secure enclave in the same fashion, but Face ID is “controversial” which is to say that a lot of people who are wrong about it are very upset. We really need to stop taking into account the feelings of the perpetually wrong. There is also no evidence that Touch ID is faster from trigger to unlock, although it does seem like it would be in some use cases. You can, as Ranger notes, unlock your phone in your pocket with Touch ID, something that may not be impossible with Face ID but is surely a lot harder, depending on the size of your face and your pocket. Face ID is in the iPhone X so Apple can ship a large-screen phone in a smaller form factor. That’s it. It’s weird how none of these articles seems to mention that, they just make it seem like Apple’s unilaterally deciding to ditch Touch ID for no good reason. Facial recognition on smartphones is not that new. I’ve used it on a few handsets before, and always found it wanting. Probably the same on the iPhone X. Sure. Not really worth waiting until it ships to find out if it’s better or worse. Best to type this up now and avoid the rush. A number of retailers are already using facial recognition to track shoppers—and shoplifters. Moscow is adding facial recognition to its network of security cameras, according to reports. Which they did because of Face ID? No. They did because Russia is a totalitarian state (coming soon to a state near you) and retailers don’t care about you meat sacks. Those things are certainly bad, but they’re pretty independent of Face ID. 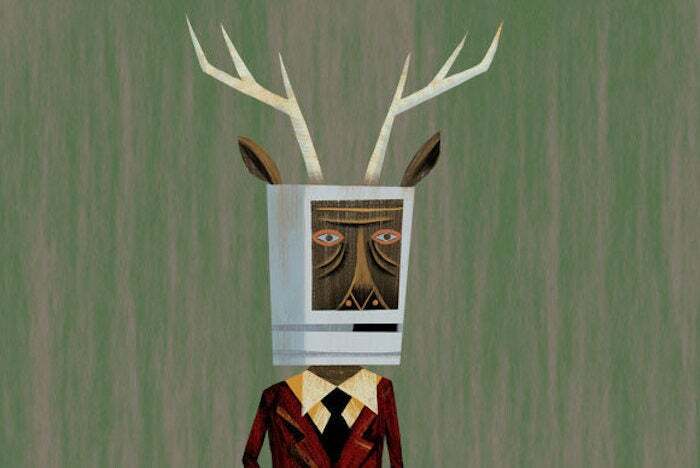 The Macalope thinks there is a point to be made about Face ID normalizing facial recognition in unlocking smartphones and thus making it easier for other companies less concerned about privacy to ship shoddier implementations. Unsophisticated users might think facial unlocking is facial unlocking and it doesn’t matter what phone it’s on. But the thing is, this is the job of the tech press: to point out where it’s good and where it’s bad. Not to intimate that all these technologies are the same thing and a pox on everything. There are some good reasons not to use biometric data as a convenience to unlock your phone. People not understanding Apple’s implementation and conflating it with other uses of facial technology are not really among them.